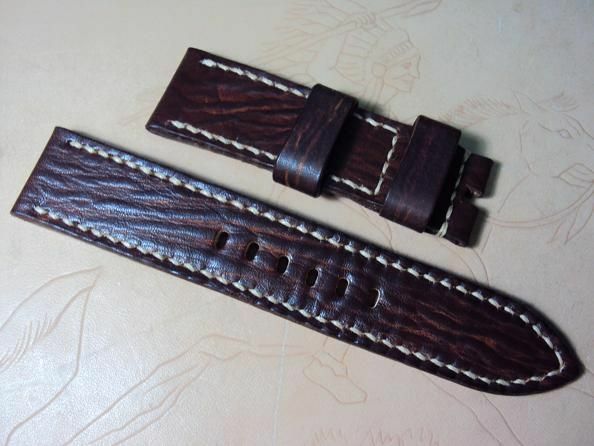 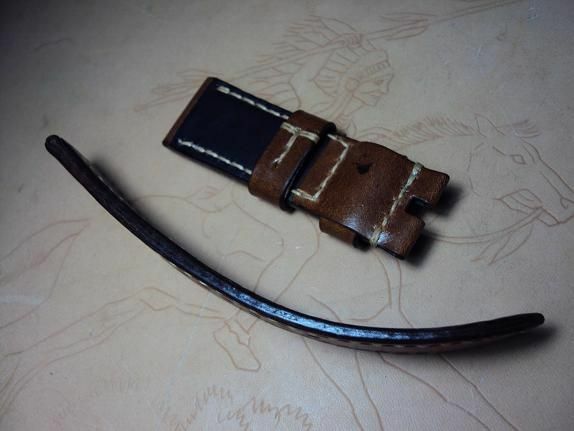 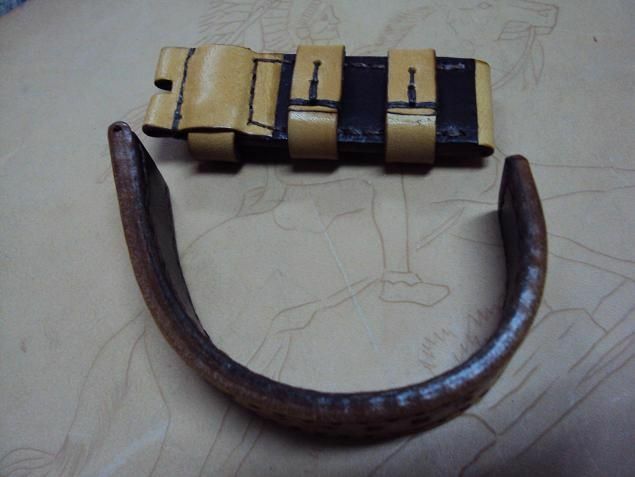 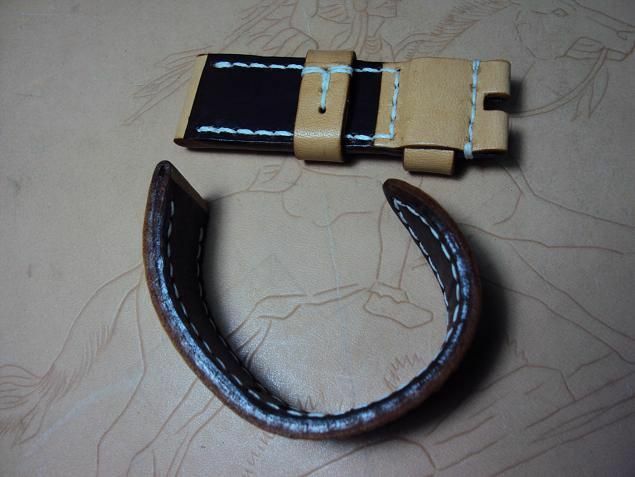 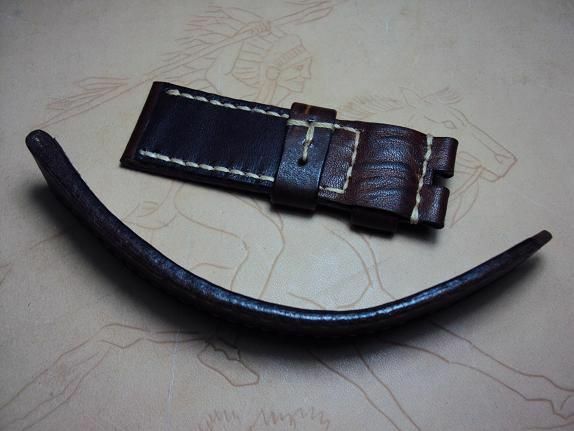 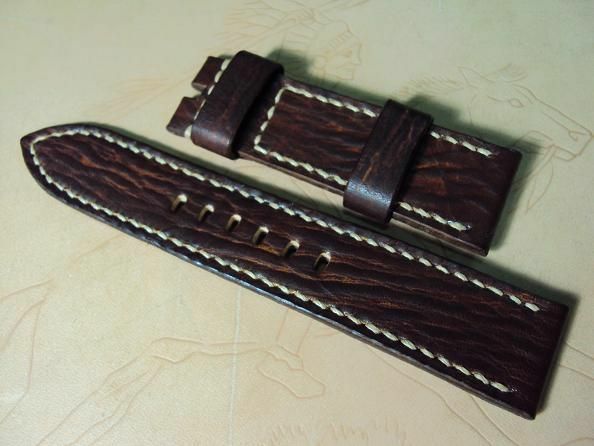 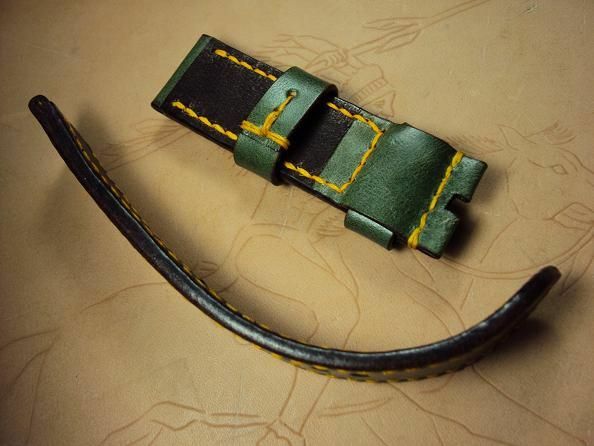 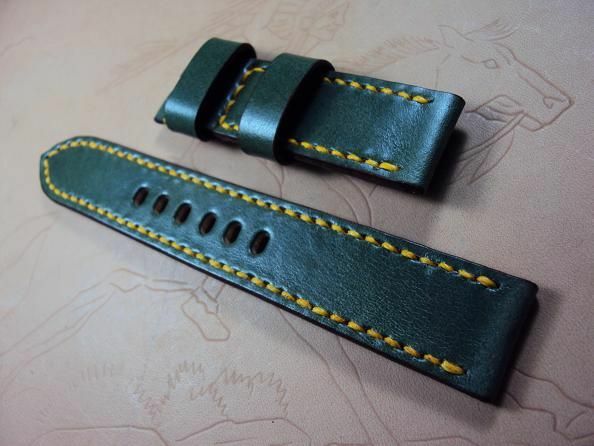 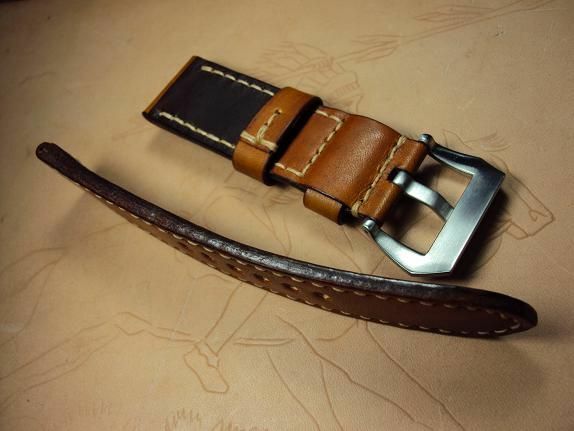 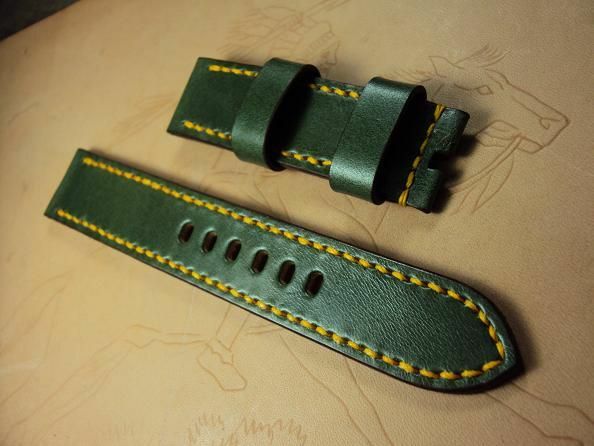 Here are some new Panerai leather straps A201~A209 available include brown grained and green vintage leather strap. 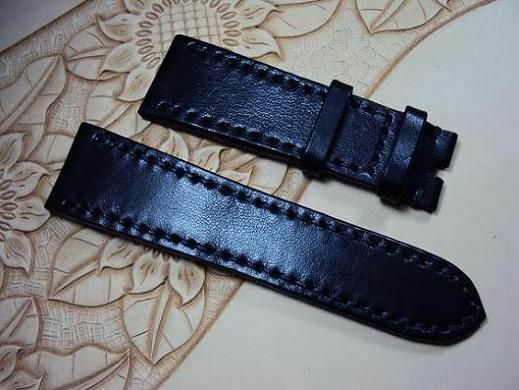 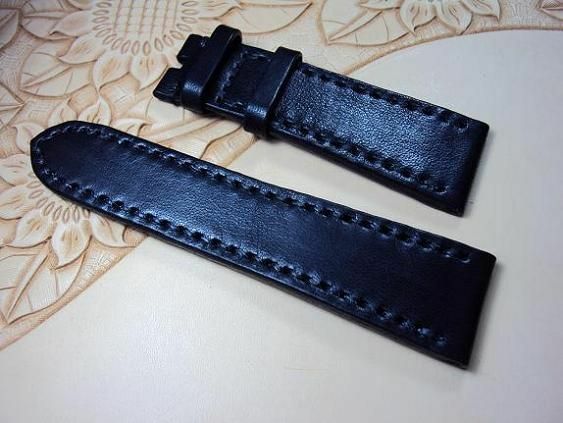 A205, Panerai black ultrasoft vintage leather strap, 26x22mm, 85x120mm, thick 4.5mm taper to 3.0mm, black stitch. 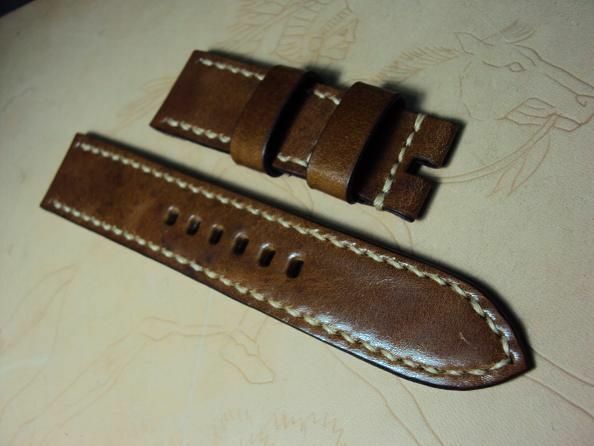 A206 Panerai tan vintage grained leather extra length strap, 25x24mm, 85x175mm, thick 4.0mm, dark brown stitch, two floating keepers. 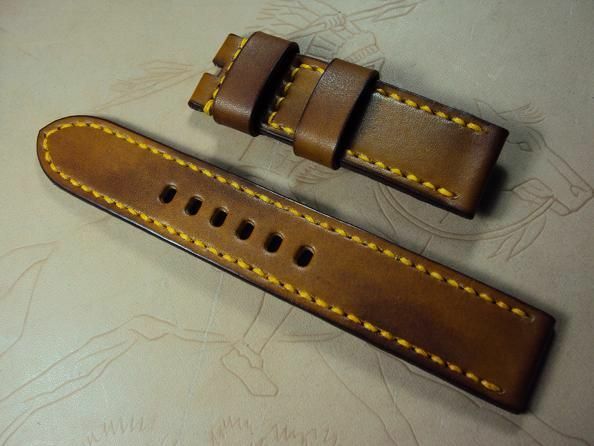 A208, Panerai tan vintage leather strap, 24x24mm, 80x150mm, dark brown stitch, calf lining, super length custom leather strap. 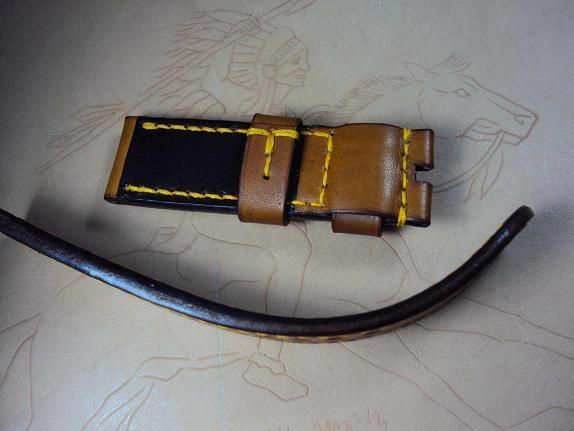 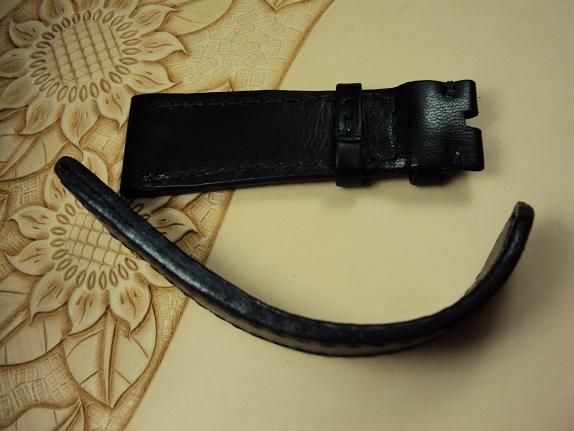 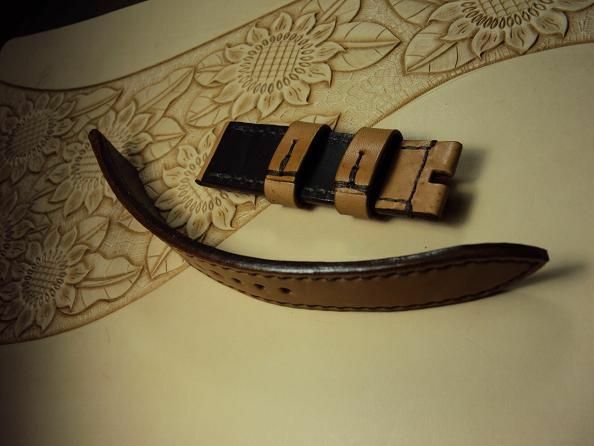 The super length strap is priced at $ 130 USD, now charges the same promotional price at $ 80 USD including registered airmail worldwide shipping. 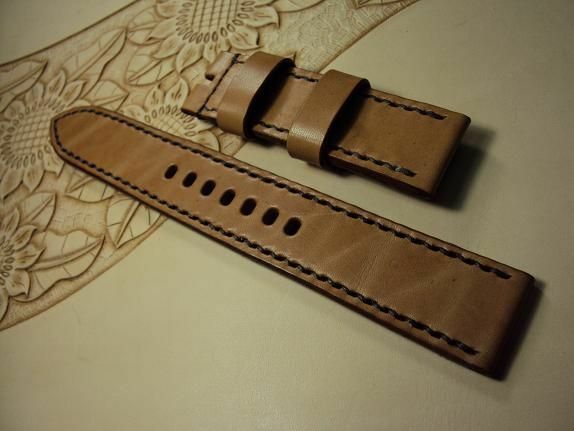 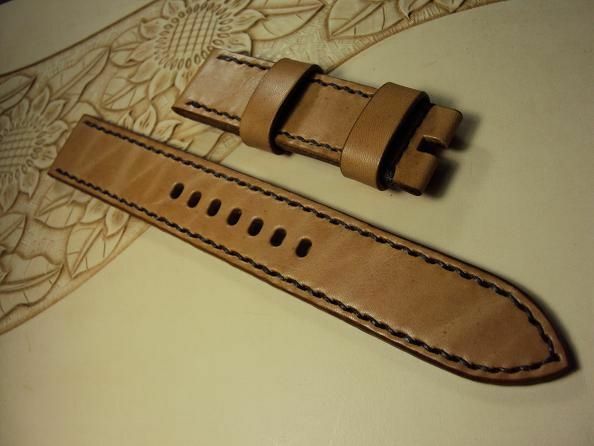 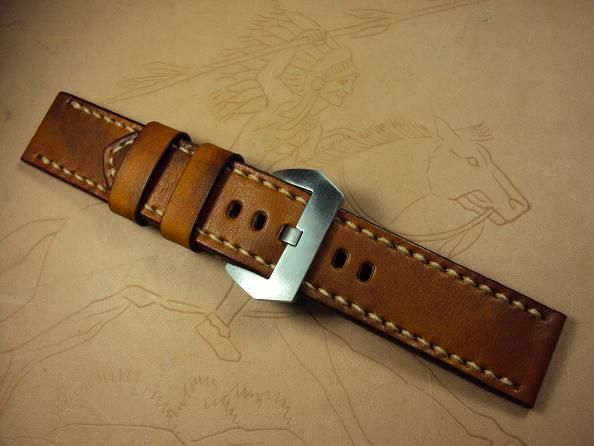 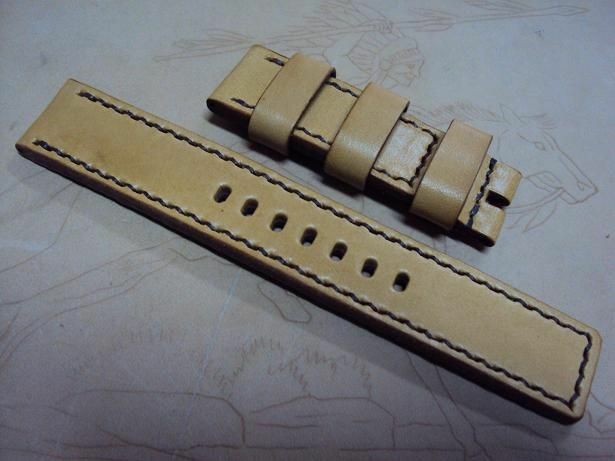 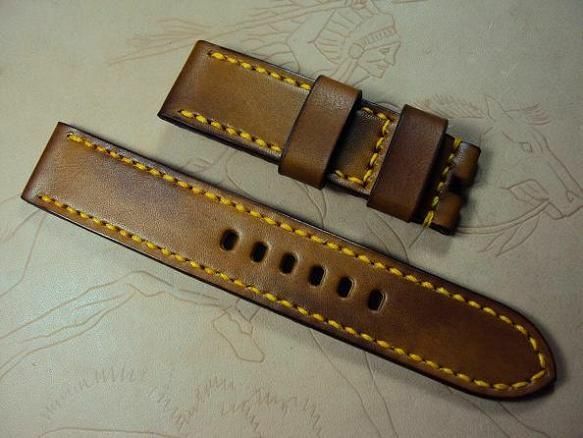 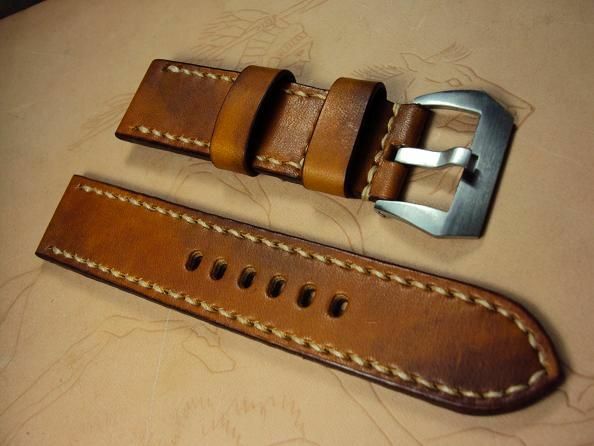 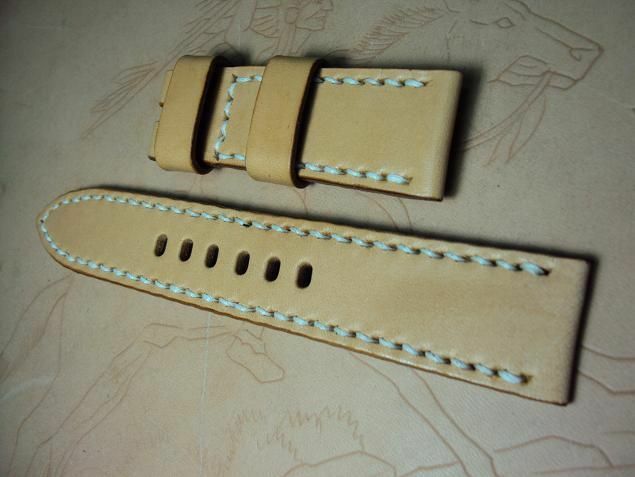 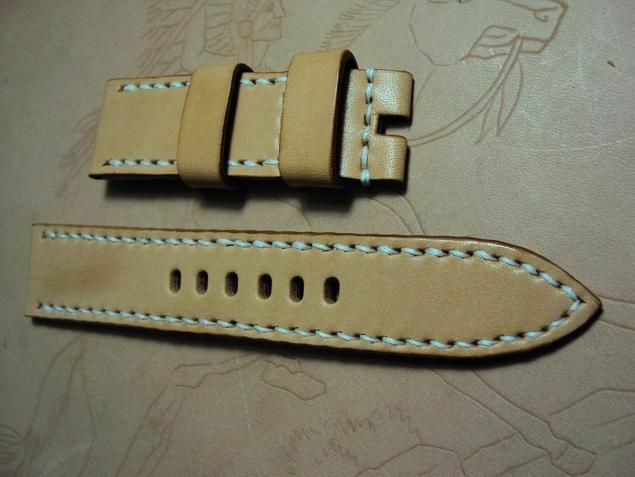 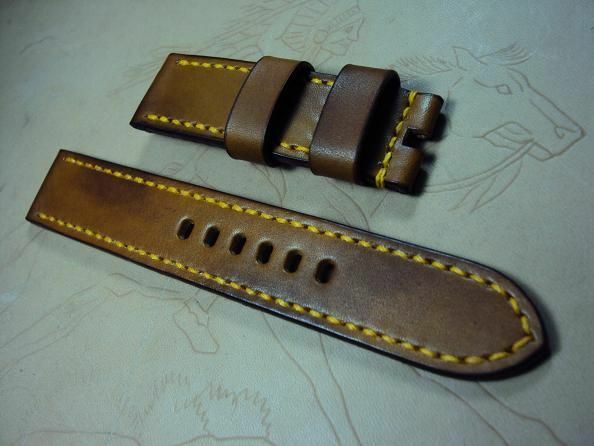 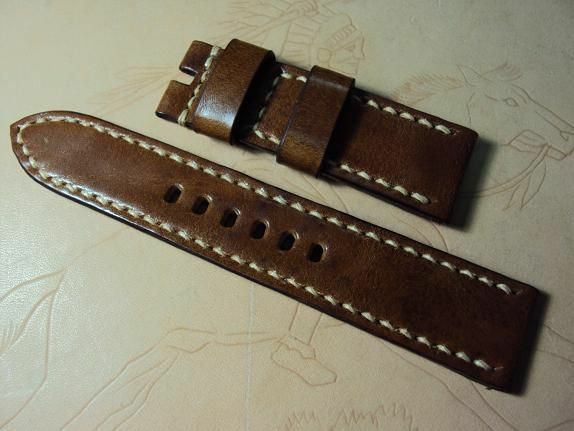 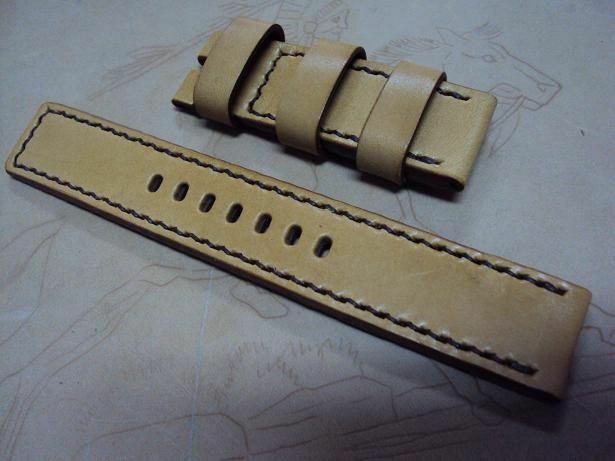 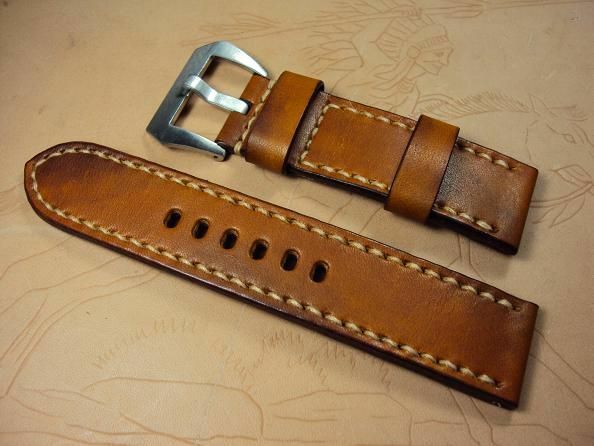 A209, Panerai tan vintage leather strap, 24x22mm, 75x135mm, thick 4.0mm taper to 3.5mm, white stitch.